Today, AI is used in digital marketing for a variety of reasons. It is used to gather data to target ads, analyze the emotions that have the maximum impact on the target audience, determine content relevancy, streamline marketing campaigns and identify customer segments to cross-sell products. AI is not based on any form of a static formula. It is constantly evolving to present, sort and identify data in a way that meets the needs and requirements of the end users. This varies from time to time and is dependent on many variables. 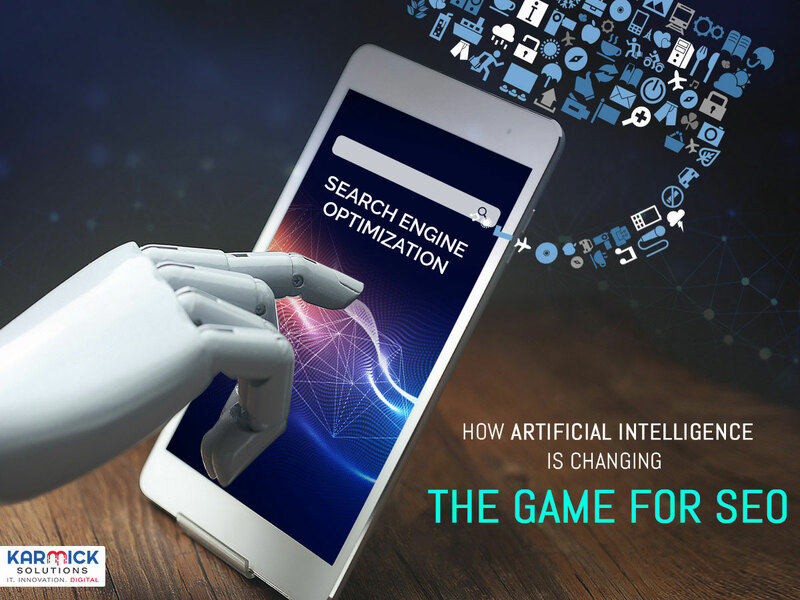 AI will greatly improve the field of SEO beyond the use of simple keywords. There are three different forms of AI – ANI, ASI, and AGI. ANI stands for Artificial Narrow Intelligence. It is used for only one particular thing such as beating the world champion at chess. AGI stands for Artificial General Intelligence. It is a title that is given to an AI when it is able to perform tasks at par with humans. ASI stands for Artificial Super Intelligence. The title of ASI is given to AI when its capabilities have surpassed that of any single human. RankBrain tries to understand the content as well as the context of a site. It works by converting written language into a mathematical language called vectors which computers can easily understand. This enables RankBrain to understand words and phrases that it has not encountered before by making intelligent guesses as to what they could be standing for based on similar words and phrases in its vocabulary. This makes RankBrain adept at making sense of queries that it has never come across before. AI determines which websites are good and can, therefore, rank high on a search query on the basis of yardstick sites. Websites that are similar to the yardstick site in terms of content and concepts will rank higher in search queries. Needless to say, yardstick sites differ from sector to sector. So, for example, websites that deal with the content of psychotherapy will have a separate yardstick site than e-commerce websites that sell kitchen accessories. How to improve SEO ranking with Artificial Intelligence? The way in which we search has changed. Today, we search across locations from different devices. Therefore, the keyword phrases that we use to search have to change as well. It is better to choose one main keyword phrase and then adapt and optimize it throughout using similar phrases. For example, if our keyword phrase is link building, it is not advisable to overuse the same as that will have an adverse effect. Instead, we have to use other similar sounding phrases such as to build links, building links with or build a link etc. Branding is very important. We should brand our website and then reach out to the most relevant social networking sites where we can target our key demography. If our business is local, it is vital that we brand our business in the local directories. With every passing day, mobile search is becoming more and more popular than desktop or laptop search. This necessitates a separate line of strategy to attract target customers on this separate device. Such has been the changes in Google’s algorithm that websites are now under pressure to become more mobile friendly. This, in turn, will lead to enhanced brand awareness. Voice searches tend to be conversational in tone and longer than text search. This has to be taken into consideration when devising one’s site’s SEO strategy. One way to optimise for these kinds of searches is to create content that takes into account informal or colloquial way of speaking. Alternatively, we can also research keywords that are a part of voice searches and accordingly optimise our content. This will also help us in our written queries.